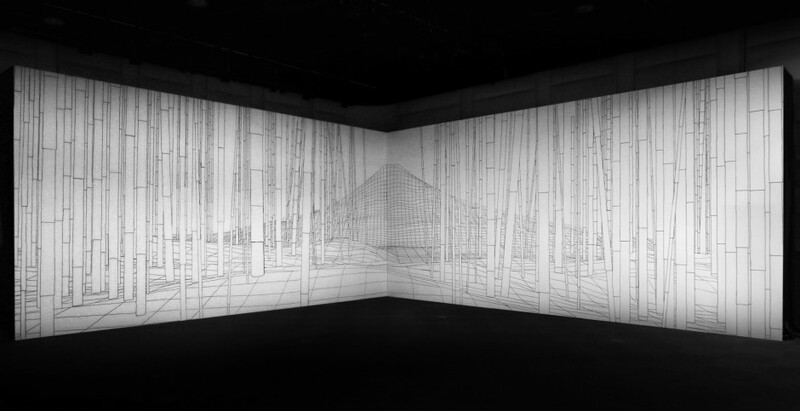 I’m currently in Seoul, South Korea, to be part of the Da Vinci creative festival, at Gumcheon Art center. I was invited by Mimi Son & Elliot Woods, to present an installation alongside with some of my favourites visual artists, Zimoun (CH), Herman Kolgen (CA), Kimchi & Chips (UK/KR), Ben Kreukniet from UVA (UK) with also many upcoming South Korean artists. It’s been 5 years since I first came here for an architectural mapping project in Songdo, a futuristic city that has bit abandoned since then, and I’m really excited to re discover the city in a different context.. 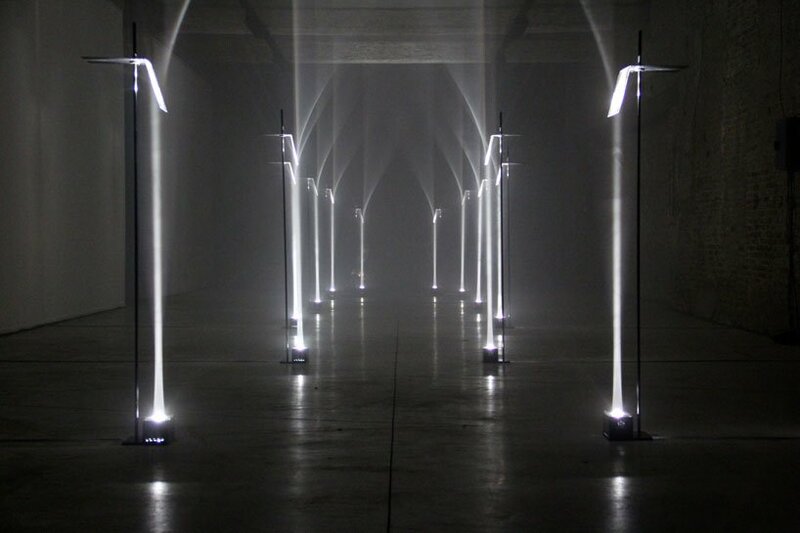 Gravity Stairs (Olafur Eliasson), Arcades (Troika), Falling light (Troika). It runs until the 17th of October at the Geumchon art center, and it has a lot to offer: workshops, talks, performances and installations..
120 prepared dc-motors, filler wire 1.0mm (installation by Zimoun), Seismik (performance by Herman Kolgen), Light Barrier (Kimchi and Chips). I was really impressed when I read about ‘Light Barrier‘ on creative apps, but actually experiencing it is unlike anything you’ve seen before. The artists have mapped light rays in space to control the density of photons, and then compose visual structures in mid air. Learn more about the project on Creative apps. 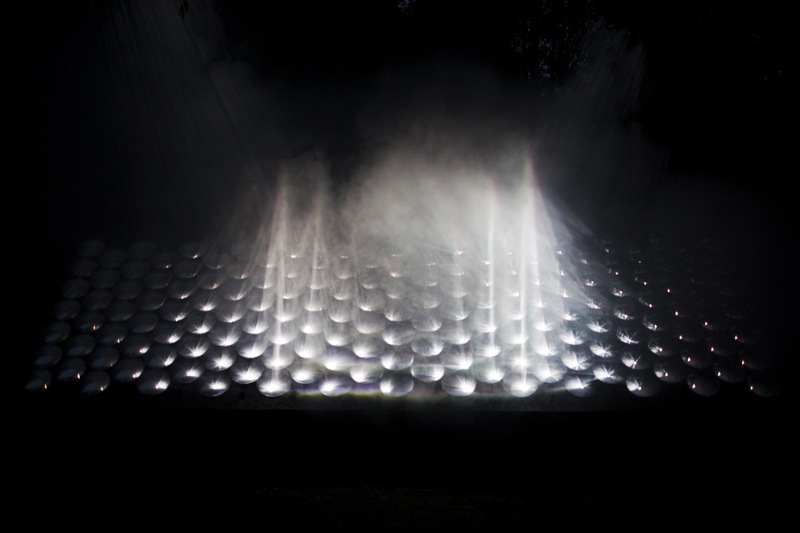 Light Barrier (installation by Elliot Woods and Mimi Son). My favorite discovery is a new piece by Jaehyuck Bae & Junbong Song, who teamed up to create « Light Wave », a kinetic installation with servos and LEDs where simple motion and light variations are combined to form slowly evolving and contemplative patterns. The piece is a new creation and was only finished a few days ago. Here’s a short extract filmed by my producer Juliette. I’m really proud to be part of the exhibition and to present Fuji, a new audiovisual piece in collaboration with musician Paul Jebanasam. I developed the project during a residency in Japan last year, and it’s inspired by the Tale of princess Kaguya Hime. More details on the project’s page. The exhibition is on until the October, and I’ll be doing an artist talk on September the 12th at 5pm, please come along !